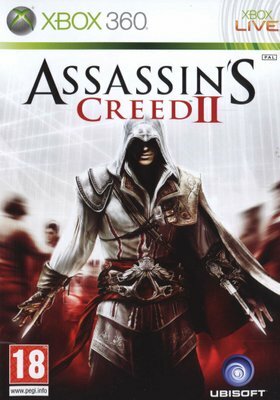 ACII owns the first AC game Hands down!!!!! !Combat mechanics have really been refined & wide array of weapons have been introduced,The fliudity of the game has made ACII so much enjoyable compared to the clunky maneuverability issues I experienced on Assassins Creed Xbox360 ...Ezio Auditore da Firenze Is a passionate Protagonist that takes matters to heart when his family gets betrayed by friends closest to him & goes on a quest to annihilate all those that were invloved in the fasle conspiracy against his family..... 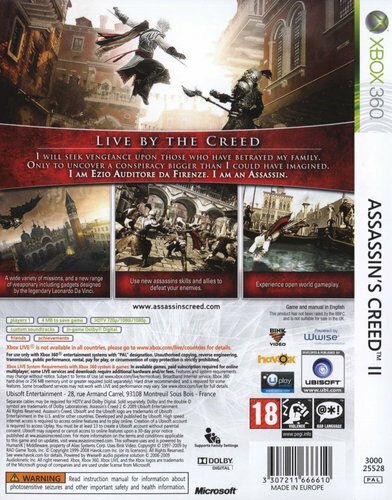 The setting of the game is amazing & being half Italian it was nice to hear the Italian language in this game,especially seeing Florence & Venice places Ive been too was just really cool seeing them in this game...I can see why many people rate ACII the best game of the franchise... Really enjoyed playing this game,it really lived up to the expectations.....Molto Bene!!!! !